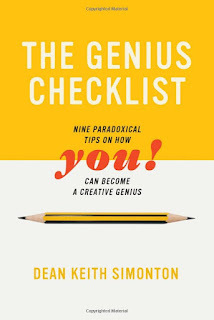 Instead what we have here is an interesting exploration of what we mean by 'genius' - a fuzzy enough concept that it covers many different abilities - and a set of nine contradictions (that's the 'paradoxical' bit) in listing possible causes for being a genius. So, for example, we are told it's good to score 140 or more on IQ test, but IQ doesn't really matter, or that it's all down to the genes, but home and school are what make it happen. The very nature of these paradoxical statements makes it clear that this book cannot tell you how YOU! can become a creative genius. The chances are that Simonton was being ironic in his use of that self-help language - but that doesn't really help the purchaser. I did find the book interesting, partly for that exploration of what gets labelled genius, but mostly because it reveals so much about how poor the scientific credentials of much psychological research seem to be. It doesn't help that Simonton refers to the work of Freud as 'science'. But more worrying is the way that he seems to find it worth discussing an old study that claimed to work out IQs of long dead people from biographical details - doubly strange as this used childhood performance to deduce adult IQ, which Simonton's 'Turn yourself into a child prodigy/wait until you can become a late bloomer' section seems to suggest is pointless. Also Simonton tells out that the study's data was cherry picked, which should totally invalidate it. Not to mention that he doesn’t mention that the concept of IQ has been pretty much dismissed except as measure of the ability to pass IQ tests. Over and over again, what we seem to get is correlation being confused with causality, yet the book makes little effort to explain this, nor does it bring in the relatively recent revelation of just how many of such soft science results have proved unreproducible. And some of the conclusions are themselves confusing. For example, in the nature/nurture section, Simonton concludes that roughly half of who you become depends on genes and half on 'choosing your home and school environments.' As it happens, the next book I started reading after this one was Robert Plomin's Blueprint, which makes it clear (in a lot more convincing fashion) that the 50:50 split is distinctly misleading. 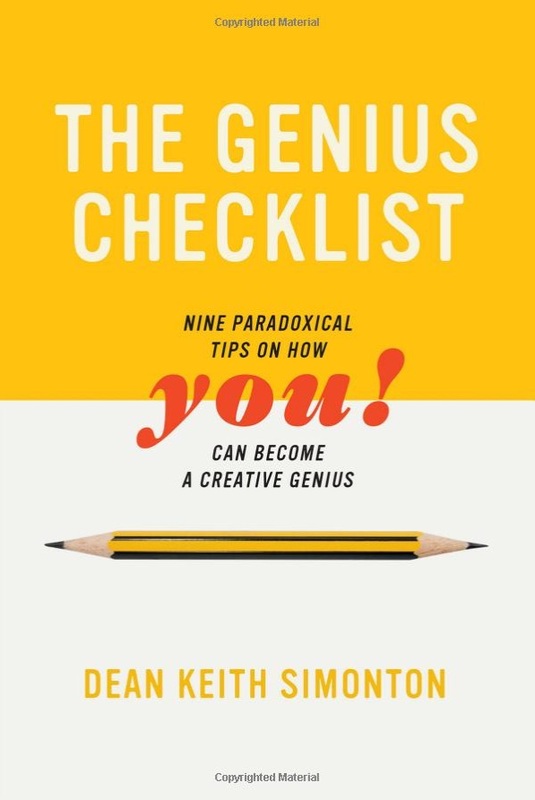 All it really seems possible to come away from this book with, apart from a distinct concern about the scientific nature of this part of psychology, is that we really don't know a lot about genius. And that probably would have made a better article than a book.